good friend and trainee of Massive Voodoo. Sanne is a canvas painter by heart and with a lot of passion and when she started the internship with us she really struggled to get used to the small canvases of miniatures. 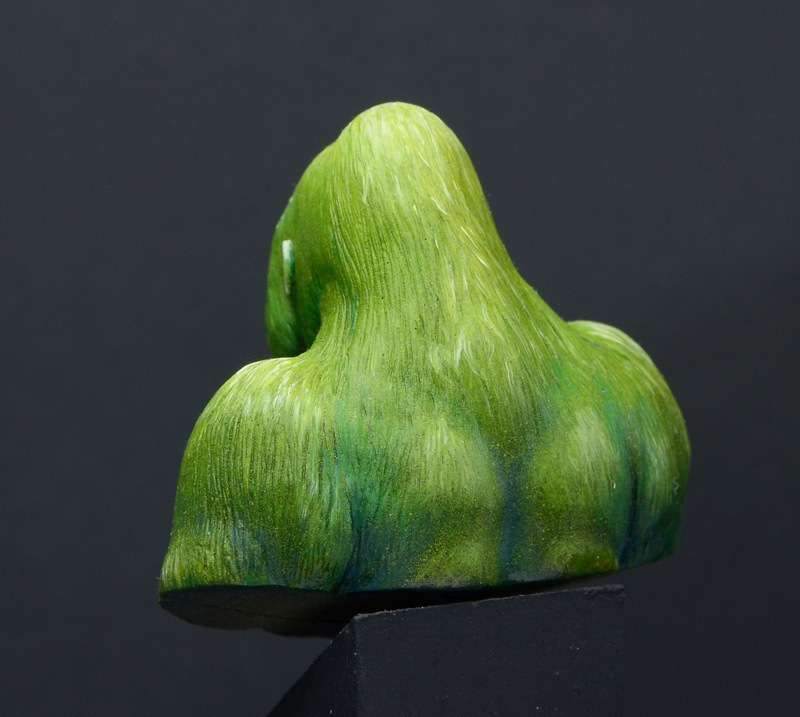 The first model she ever painted was a Zombie and after that she got herself in sculpting Jason, before she started with her first gaming table comission ever for Frank. 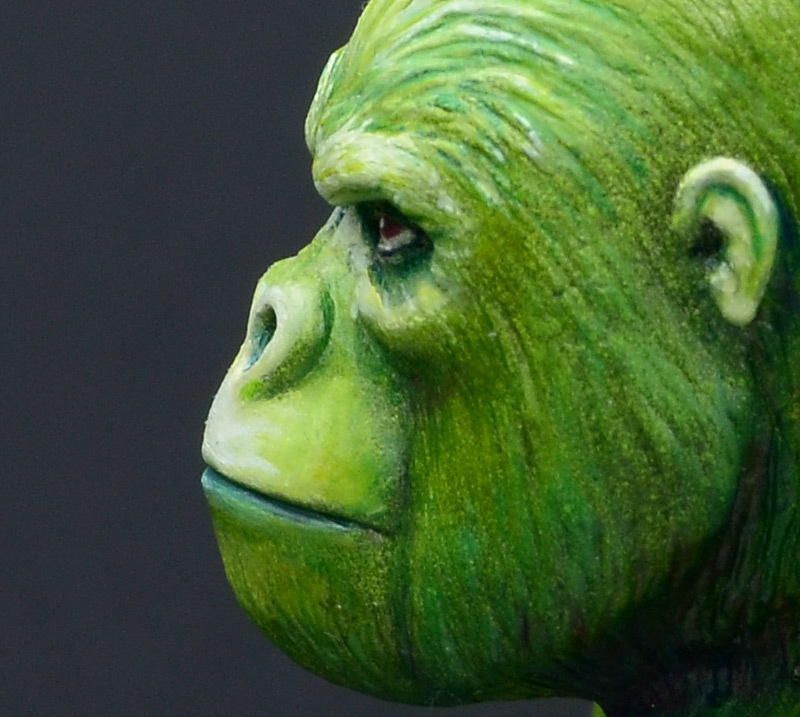 Well, in between these experiences the big monkeys thought it would be a good thing to let such a talented artist loose on a bigger scaled model, no guidelines for her, just the sentence by us: "Use your Oil colours as you do on canvas and have fun! Take whatever colours you like, do as you like, if there are questions we are there!" So Sanne did on a bust Roman provided to her. 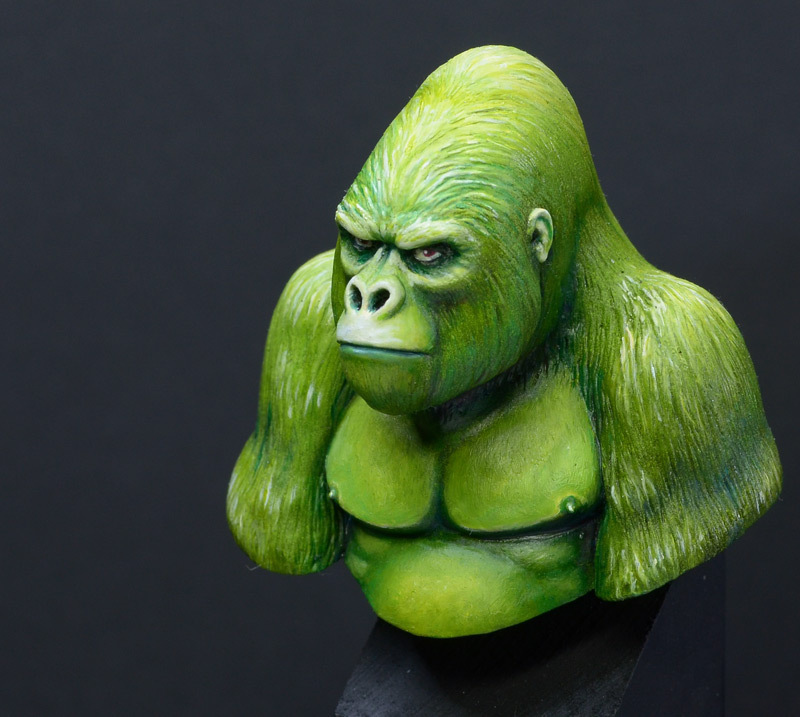 It is a beautiful sculpt of a Gorilla by Markus "DarkSpawn" Zimmerman, a sculptor from Germany. 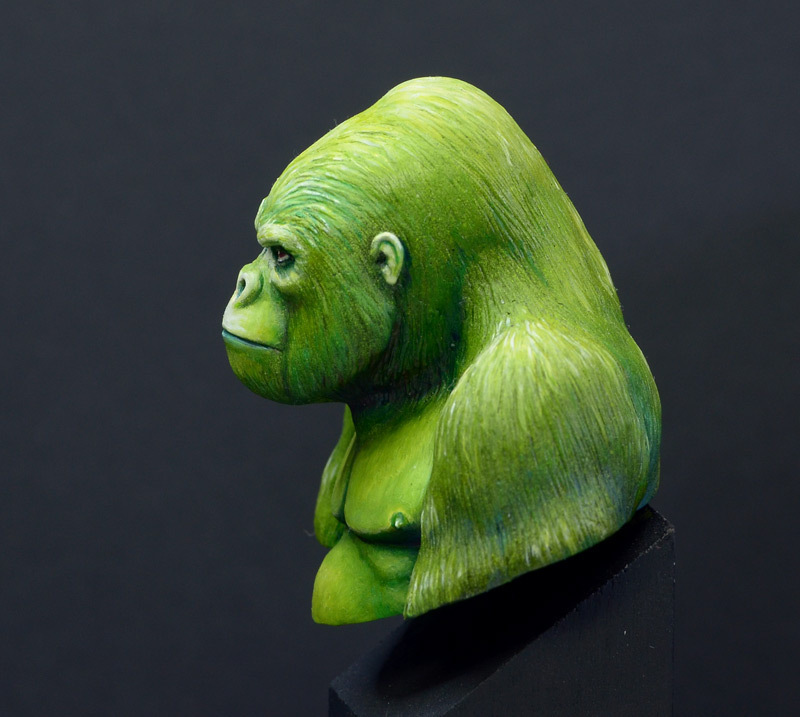 Roman bought a cast from him and thought about painting him on its own but quickly decided that he wanted to see Sanne's happy painting approach on this ape. And a pleasure it was to see her second figure (!) 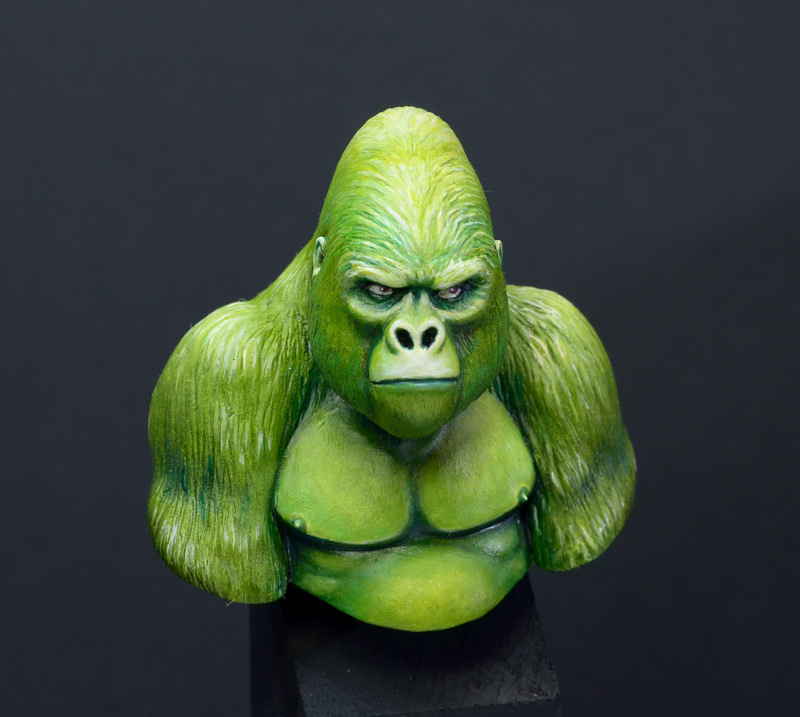 be painted, even the Gorilla turned out to be green. In fact that is exactly what makes him so special. Hope you like him as much as we do? 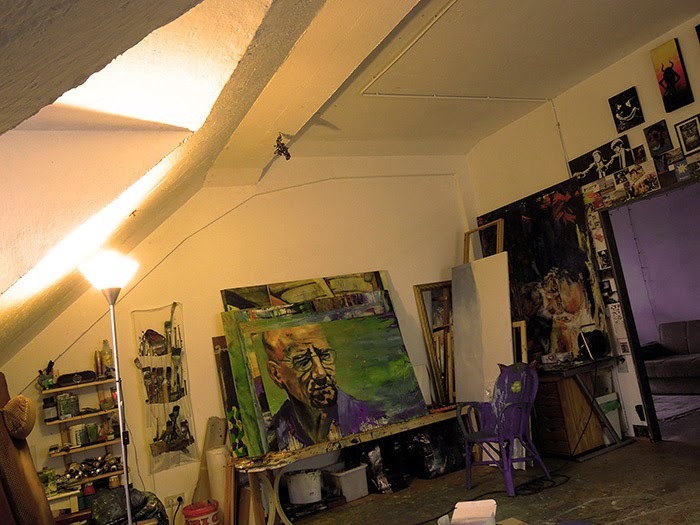 You want so see more of Sanne's Canvas Paintings, check her facebook page about it. Very cool. 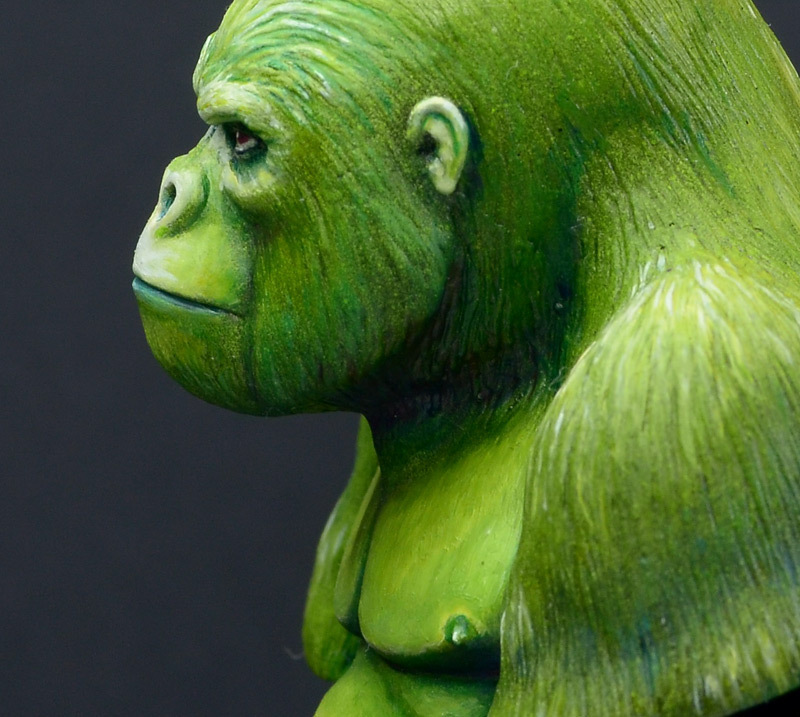 Beautiful green and the face has allot of expression.